Did you know that 1 in 8 women will develop a thyroid disorder during her lifetime? Thyroid disorders are very common in women with unexplained infertility, premature ovarian failure (a condition in which the number and quality of eggs severely limits fertility), ovulation disorders, and recurrent miscarriage. Thyroid hormones are responsible for healthy metabolism, growth, development and repair of each and every cell of the body, most importantly the central nervous system of a fetus. There have been plenty of recent studies confirming that having an autoimmune thyroid disorder (such as Hashimoto’s or Graves’ disease) significantly increases the risk of miscarriage – 36% in women who tested positive to thyroid antibodies, compared to just 1.8% for those without thyroid antibodies. What does all of this mean? Let’s start with the basics: what exactly is your thyroid gland, what does it do, and how does its function intimately affect your fertility health? The thyroid is an endocrine gland located in the front of our necks. It’s a lovely butterfly shape, about 2-inches long, with two sides called lobes that lie on either side of your windpipe, and is usually connected by a strip of thyroid tissue known as an isthmus. Your thyroid gland stores and produces hormones that affect the function of virtually every organ and cell in our bodies. The thyroid gland uses iodine from the foods you eat and combines it with L-Tyrosine to make two main hormones – thyroxine (T4) and triiodothyronine (T3). T3 is the more active form of thyroid hormone helping to regulate our metabolic rate and is associated with changes in body weight and energy levels. T4 is the inactive thyroid hormone and must be converted into active T3 inside specific target cells of the body. Two glands in the brain – the hypothalamus and the pituitary – regulate thyroid function by communicating to maintain T3 and T4 balance. The hypothalamus produces Thyrotropin-Releasing Hormone (TRH) which signals the pituitary to produce more or less Thyroid Stimulating Hormone (TSH). TSH is the hormone that directly tells the thyroid gland to produce determined amounts of T3 and T4 depending on the level of thyroid hormone detected in the blood. This is how doctor’s utilize TSH levels to determine whether you are suffering from hypothyroidism (low thyroid function) or hyperthyroidism (elevated thyroid function). I will discuss in more detail later the importance of testing for actual thyroid hormone levels and not just TSH as an accurate method of diagnosing thyroid dysfunction. Controlling your metabolism by regulating the rate of oxygen consumption and consequent heat production at the cellular level. Influencing carbohydrate, protein and fat metabolism. During pregnancy, fetal growth and development is controlled by maternal thyroid hormone, with help from fetal thyroid hormone later in pregnancy. Growth and development continue to be regulated by the thyroid postpartum. Healthy thyroid function is also required for the activity of several other hormones, like growth hormone; as well as for controlling heart rate and blood pressure, and even for proper brain function. Hyperthyroidism is an overproduction of the thyroid hormones T3 and T4. If left untreated, hyperthyroidism can result in Graves Disease (you’ll find out all about Grave’s Disease in the next section!). General symptoms of an overactive thyroid include anxiety, irritability or moodiness, nervousness (hyperactivity), sweating, sensitivity to high temperatures, hand trembling, and hair loss. In women: loss of libido, amenorrhea (absent period), irregular menstrual cycles, and postpartum thyroiditis. In men: abnormal enlargement of the mammary glands, feminization, and loss of libido. Hypothyroidism is an underproduction of the thyroid hormones T3 and T4. If left untreated, hypothyroidism can result in Hashimoto’s Thyroiditis (don’t worry, that’s coming up too!). Hypothyroidism tends to be the thyroid disorder that more negatively affects fertility, and is also the thyroid disorder that most women suffer from. General symptoms of an underactive thyroid include weight gain, constipation, fatigue, difficulty concentrating, dry skin and hair, depression, sensitivity to cold temperature, water retention, and joint or muscle pain. In women: infertility, increased chance of miscarriage, menstrual irregularities, frequent, heavy periods, hyperprolactinemia, galactorrhea (flow of milk in the absence of pregnancy or childbirth), and low Basal Body Temperature (BBT). In men: decreased libido, impairment of testicular testosterone synthesis, and abnormal enlargement of the mammary glands. There are two common autoimmune disorders that result in an over- or underproduction of thyroid hormones – Hashimoto’s and Graves’ Diseases. Autoimmune means a disease in which the body produces antibodies that attack its own tissues, leading to the deterioration and in some cases to the destruction of such tissue. Both Hashimoto’s and Graves’ Disease is a result of the immune system creating antibodies that damage the thyroid gland. While research still doesn’t know exactly what causes the immune system to begin attacking your thyroid gland, we do know that toxins, environmental factors, genetics, and heredity can play a role – women, with a family history of thyroid or autoimmune conditions tend to be most commonly affected. Research indicates the antibodies (i.e. immune attack cells) circulating in autoimmune women’s bodies reduce both conception and response to fertility treatments. Hashimoto’s thyroiditis is a chronic autoimmune disorder where you have lower than normal levels of thyroid hormones caused by the body chronically attacking the thyroid gland. A thyroid gland under attack is not able to properly make enough thyroid hormone to meet the body’s needs, putting you in a hypothyroid state. Women with Hashimoto’s have a higher rate of miscarriage in the first trimester and are significantly more likely to struggle with infertility. While thyroid physiology changes quite significantly in normal pregnancies (to accommodate the changing metabolic needs of the mother and fetus), hypothyroid states such as Hashimoto’s, which are considered pathologic (not normal), require special consideration so it’s important to work with your doctor to maintain optimal thyroid levels throughout your pregnancy. Graves’ disease causes the thyroid to overproduce thyroid hormone and thereby speed up the body’s metabolism. Overall, about 2% of the female population has Graves’ disease and of these, many are diagnosed in pregnancy (1/1,500 pregnant women will get Graves’). Prior to pregnancy, Graves’ can affect fertility by disrupting ovulation and causing irregular menstrual cycles. In pregnancy, Graves’ can lead to miscarriage, premature birth, eclampsia (hypertension of pregnancy), and ‘small for gestational age’ (SGA) babies. How does your thyroid specifically affect your fertility? Abnormalities in thyroid function often prevent women from ovulating and is one of the leading causes of irregular menstrual cycles. Research also shows that thyroid disorders commonly result in reduced rates of conception, increased miscarriage risk, preeclampsia, poor fetal growth, and adverse neonatal outcomes such as premature birth and stillbirth. Remember how we talked about the hypothalamus and pituitary glands and how they communicate to maintain T3 and T4 balance? Well, those glands also control the ovaries and the adrenal glands, two other endocrine glands intimately involved in reproduction. The pituitary gland produces hormones essential to your fertility – Follicle Stimulating Hormone (FSH) and Luteinizing Hormone (LH). 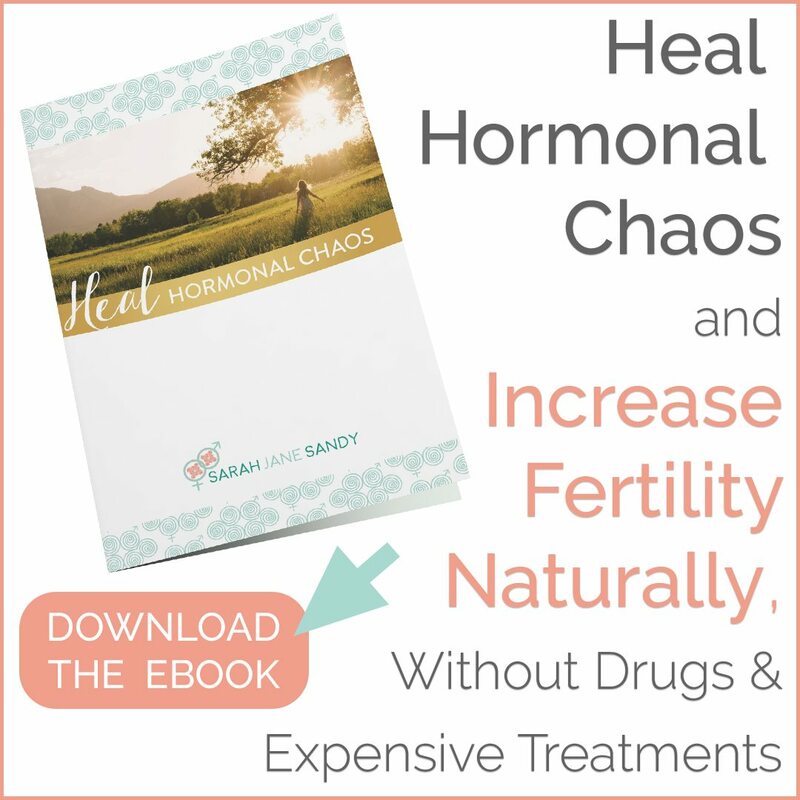 When FSH and LH are produced, your ovaries respond by producing estrogen and progesterone. The adrenal glands make what’s commonly known as the “stress hormone”, cortisol, in response to Adrenocorticotropic Hormone (ACTH) secreted by the pituitary. We know that cortisol (and stress) notably affects fertility health. A similar negative feedback loop exists between ovarian and adrenal hormones and the hypothalamus and pituitary, just like with thyroid hormone. See how they’re all related? Once there is an imbalance in any part of the feedback loop, your delicate hormonal system is thrown out of whack and that’s where we can start to see over- and underproduction of thyroid hormones. As such, when women’s bodies are dealing with either hyper- or hypothyroidism, menstrual cycles are heavily disrupted. Hypothyroidism has been associated with reduced FSH and LH levels which are essential for egg follicle maturation and ovarian production of estrogen and progesterone. Hyperthyroidism causes your body to make too many hormones, affecting how your body prepares itself for conception. A recent study published in The Obstetrician & Gynecologist, found that 2.3 percent of women with fertility problems had an overactive thyroid (hyperthyroidism), compared with 1.5 percent of those in the general population. The bottom line here is that before becoming pregnant, you must get your thyroid hormones into a normal range and stabilized (it often takes a few months of treatment before everything gets into range). Generally, endocrinologists try to keep the TSH between 1-2 mIU/L. Your T3 and T4 levels will also be monitored once you’re pregnant, as pregnancy will independently affect thyroid hormone levels. There are trimester-specific target ranges for these blood levels, and your physician will prescribe the proper doses for these periods, depending on current dosing regimens and thyroid panel results. He or she will then make adjustments as necessary throughout your pregnancy and in the postpartum period. Preconception planning is essential to a healthy pregnancy for women with thyroid disorders, as untreated or neglected thyroid problems can affect not only your ability to get pregnant, but your baby’s growth and brain development. Untreated thyroid problems may also lead to infertility, miscarriage, or a baby born with birth defects. The American Thyroid Association provides guidelines on the blood tests that should be done to determine your thyroid health. I recommend making sure to get a full thyroid panel including TSH, free T4, free T3, TPO antibodies, antithyroglobulin antibodies, and reverse T3. Anti-thyroid antibody blood tests (Anti-TPO and Anti-TG), not routinely performed, should be mandatory on all couples (both partners) having infertility issues and on any woman who has had miscarriages. When positive, these tests indicate that a person has an autoimmune condition. These tests may be positive in totally asymptomatic individuals, yet should be treated with thyroid medication if there is an infertility or miscarriage issue. All men should have thyroid tests done if there seems to be a problem with their sperm. I have seen cases in which pregnancy has occurred naturally after men were diagnosed and treated for Hashimoto’s thyroiditis. One of the initial tests to determine thyroid function is to measure the TSH level. A high TSH level indicates that the thyroid gland is malfunctioning due to a problem that is directly affecting the thyroid – primary hypothyroidism. The opposite situation, in which the TSH level is low, usually indicates that the thyroid is overactive and is over-producing thyroid hormones. Unfortunately the standard TSH test that most doctors rely upon for both diagnosis and treatment does not give a complete picture of what is going on with your thyroid. TSH is a test of what the pituitary gland is doing. It isn’t actually testing your thyroid hormone production, so. it’s important to make sure to ask for a full thyroid panel as listed above. T4 bound to proteins that prevent the T4 from entering the various tissues that need thyroid hormone. Free T4, which does enter the various target tissues to exert its effects. The free T4 fraction is the most important to determine how the thyroid is functioning, and tests to measure this are called the Free T4 (FT4) and the Free T4 Index (FT4I or FTI). Individuals who have hyperthyroidism will have an elevated FT4 or FTI, whereas patients with hypothyroidism will have a low level of FT4 or FTI. T4 and T3 are the two main thyroid hormones. T4 is the less active hormone. Your body converts much of your T4 into the more active T3 inside the cells of your body. With the T4 (and T3) test you can check both free and total levels. You want to be sure your doctor is checking the free levels. Why is this important? Because you want to check the T4 that is not bound to proteins in your blood. You want to know the amount of T4 that is available to be used and converted to T3. This is the more active form of the thyroid hormone. If you don’t have enough of this you’re going to feel lousy. This is what should, in my opinion, be considered the gold-standard of thyroid function! Free T3 is primarily responsible for increasing your metabolism. Measuring levels of thyroid antibodies will help diagnose if the thyroid disorder is autoimmune in nature. For example, positive anti-thyroid peroxidase and/or anti-thyroglobulin antibodies in a patient with hypothyroidism will lead to a Hashimoto’s diagnosis. If the antibodies are positive in a patient with hyperthyroidism,the most likely diagnosis is Graves. As I said above, testing for thyroid antibodies should be mandatory for all couples (both partners) having infertility issues and for any woman who has experienced miscarriages. Once your thyroid function has been tested, you may be prescribed medication to best control your particular thyroid disorder. Studies show that women treated with thyroid medication significantly increase their ability to get pregnant and successfully maintain pregnancy. I am an advocate of utilizing Natural Desiccated Thyroid (NDT) hormone replacement such as WP Thyroid if properly prescribed, monitored and confirmed of measurable extract. NDT medications contain all of our body’s thyroid hormones (T4, T3, T2 and T1), versus synthetic thyroid medication such as Synthroid which contains only inactive T4 thyroid hormone and must be converted in the body to T3. Unfortunately many women with thyroid dysfunction have issues with conversion and therefore do not receive as much benefit from the synthetic medications. Another issue is that many of the synthetic thyroid medications contain less than optimal ingredients such as confectioner’s sugar, D&C Yellow No. 10, FD&C Blue No. 1, FD&C Yellow No. 6, and lactose (milk). I would never suggest eating these ingredients in our food, and we should definitely not be consuming them in our medication! Desiccated thyroid medication may not be right for everyone, and it’s even more important that you’re taking a confirmed and measurable extract containing the true active hormone – recommended by and under the supervision of a competent medical doctor. In addition to medication, there are certain foods, nutrients, and lifestyle modifications that can be extremely helpful to naturally support your thyroid health. The majority of your meals should include anti-inflammatory, nutrient-dense ingredients. Wild-caught fish and seafood, grass-fed and grass-finished meats, healthy fats and oils, a rainbow of vegetables and starches, fermented foods, bone broth, and plenty of filtered water should be on your weekly shopping list. High quality, clean protein sources such as 100% grass-fed beef, lamb, bison; wild caught fish and seafood; organic, pasture-raised chicken, turkey, duck, pork, and eggs. Purchase the highest quality protein you can afford. Several servings of colorful, varied organic vegetables. Large mug of bone broth. Finally, round out the meal with clean fats from coconut oil, grass-fed cultured ghee, avocados, olive oil and raw nuts & seeds. Some foods that should be eliminated from your diet include: grains, dairy, corn, soy, industrial vegetable oils, sugars and sweeteners, legumes, nightshade vegetables, alcohol and caffeine, and all processed, refined, and genetically modified foods. All of these are considered inflammatory foods, and lend themselves to gut dysbiosis and a leaky gut – both of which are believed to be involved in autoimmune conditions. Prior to supplementing your diet with any of the following, I recommend discussing thyroid medication interactions with your GP. However, all of these supplements have been shown to have a positive effect in supporting thyroid health. Selenium has been shown to diminish thyroid antibody levels, while supporting enzymes involved in thyroid function. Zinc, along with vitamins E and A, function together in producing thyroid hormones. L-Tyrosine is used in the synthesis of thyroid hormone. Vitamins E, C and A are powerful antioxidants, anti-inflammatory, and support your immune system. Iodine is essential to make thyroid hormone. Good food sources include seafood, poultry, eggs, kelp, and other seaweeds. It’s important to be careful with supplementing iodine because too much can be problematic and actually cause hypothyroidism, and may adversely affect autoimmune conditions. There are two major lifestyle factors that affect thyroid health (and in turn, affect your fertility) – sleep and stress. Sleep in a dark and quiet room, more on the cool side than the warm side (68 degrees or less). Black out your room. No, REALLY black out your room. No LED lights from alarm clocks, fire alarms, TV’s etc. No electronic gadgets in the bedroom. Do not watch TV or check email for at least 1 hour before bed. Dim the lights around you when the sun goes down. Exercise daily and spend some time outside each day. The present world is filled with stress, that’s non-negotiable. But how you respond and react to stress is entirely in your control. 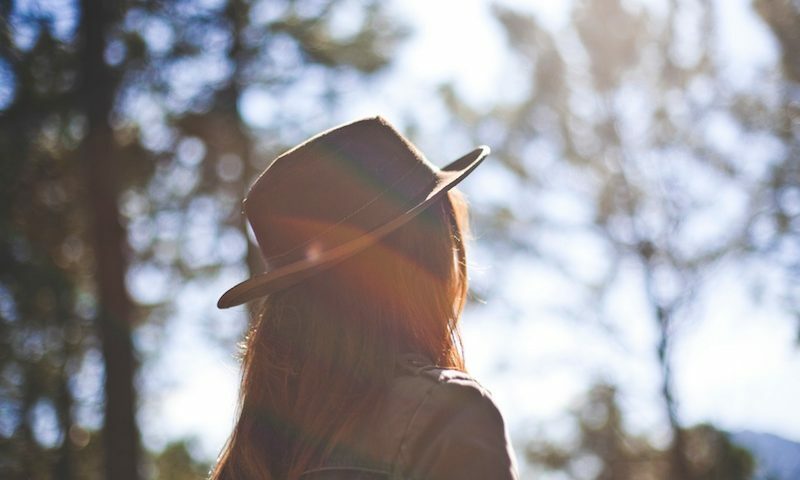 Practice managing your daily stressors with ease. Some of my favorite tools for this are: restorative yoga, long slow walks in nature, biofeedback, a hot bath, a massage, or whatever else brings your unique soul pleasure! This may be one of the most important things you can do to optimize your thyroid health. The key to getting pregnant and carrying to term successfully, in the best health, is to address thyroid issues prior to conception. Make sure you talk to your doctor about the possibility of a thyroid issue for you, or your male partner. Ask your doctor about testing for thyroid function if you are attempting to get pregnant, or have experienced miscarriage. Be sure to eat a real food diet, move your body regularly, make time for sleep, reduce toxin exposure in your environment, and counterbalance stress in your life! Have you been diagnosed with a Thyroid disorder? What’s your journey been like? If you suffer from hypo- or hyperthyroidism, what natural remedies do you use to ease your symptoms? 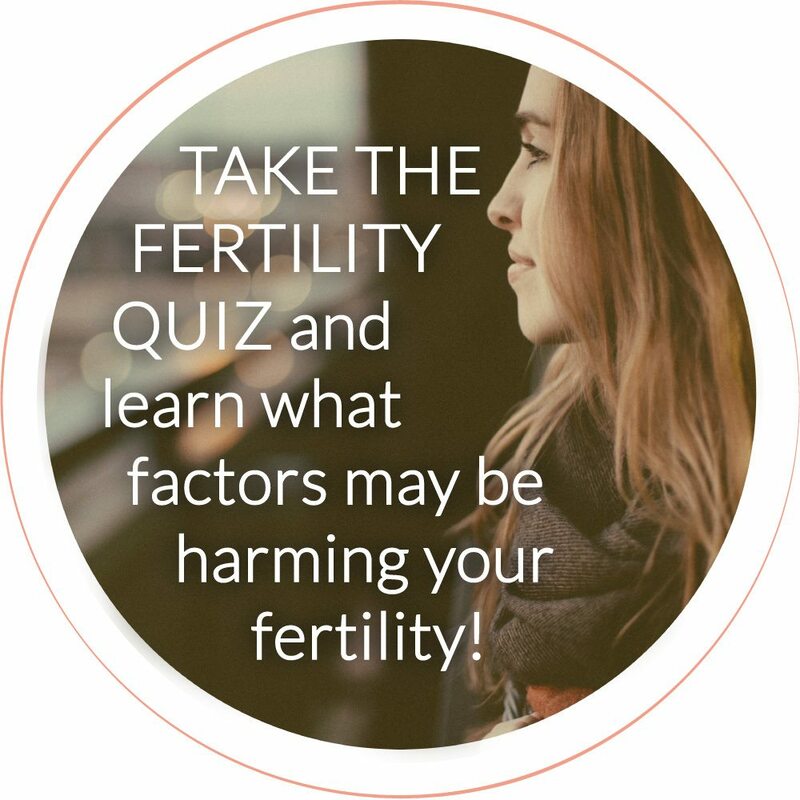 Looking to have a more in-depth conversation about how your thyroid affects your fertility? Schedule a consultation with me!